Accessories add nuance and character to whoever is wearing them. Accessories can be reflective of a persons personality. Accessories can absorb the person wearing them – transforming them into a different portrayal of themselves – or, an accessory can sometimes be too overpowering, which is a clear sign of somebody who doesn’t want to compliment their appearance, but cover it up instead. Ћ is a new symbol designed by Australian Restaurateur Paul Mathis (for an astonishing $38,000). 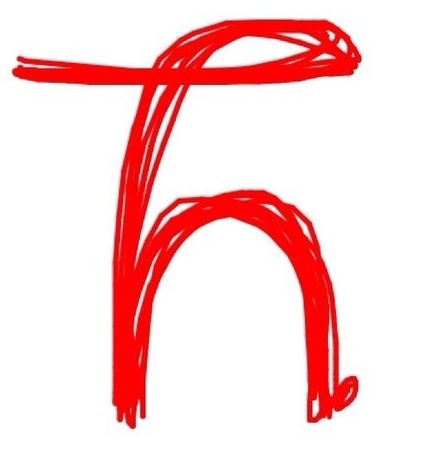 The Ћ symbol is Ћ word on Ћ lips of all Ћ grammar nazi’s in Ћ English speaking world. The design isn’t as confusing as the ‘&’ symbol, and at least ‘Ћ’ bares relevance to the original, yet clearly superfluous, three letter spelling. While I believe strongly in building a greener world for our children to live on, saving the energy in our fingers from typing Ћ instead of ‘the’ doesn’t seem to be too substantial. But it could stick, after all this is totes Ћ generation that likes to shorten wrds wherever possible. With 140 characters being of the utmost important in the technological world, you could potentially save yourself 5 characters by substituting out the words ‘at’, ‘the,’ and ‘and’ in exchange for @, & and Ћ instead. But, I believe that tampering too much with such things in this technological age could lead to bigger problems, and will only allow Ћ out pouring of people who can’t spell ‘Separate’ properly to ask that it have it’s own symbol, and while we are at it, a symbol for sypercalifragilisticexpialidocious would be good too.